The world's favourite side is now available as a perfect teether for you teething little one! 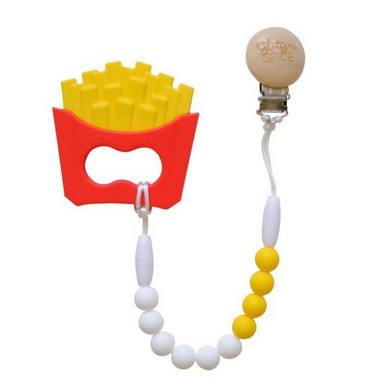 Made from 100% food grade silicone, this teether is free from harmful chemicals and have zero calories! Pair it with a stylish silicone teething necklace and bracelet to make any outfit complete. My 6 month old can't get enough of this teether. Bonus points because its easy to clean and he looks cute chewing on it.